There are some people out there who believe electronics have no place on a family vacation. They want their families to completely unplug the minute the suitcases are set inside the trunks of their cars. I am not one of those people. Sure, I want my kids to turn off Angry Birds the second the airplane lands and I better not hear a single bird hurling itself at any number of pigs the moment we cross through the gates of a National Park, but travel with kids often puts us in survival mode and if an iPad is going to be the difference between contentment in the backseat of the car and my mind exploding after the 999th whiny demand to know how much longer until we get there, I choose electronics every single time. In an effort to make your travel experience more pleasant, Trekaroo is pleased to share five great (and even educational!) 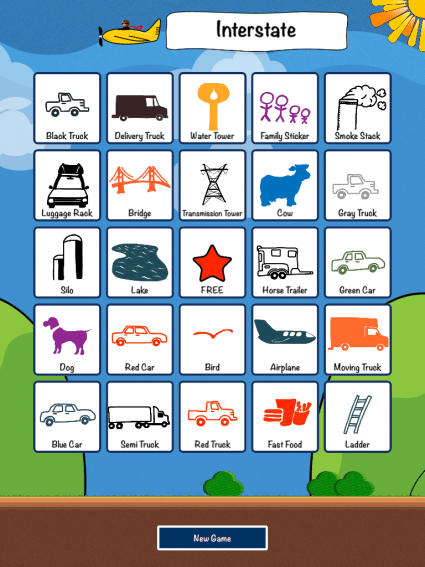 kids apps to keep your children occupied on your way to and from some place special. 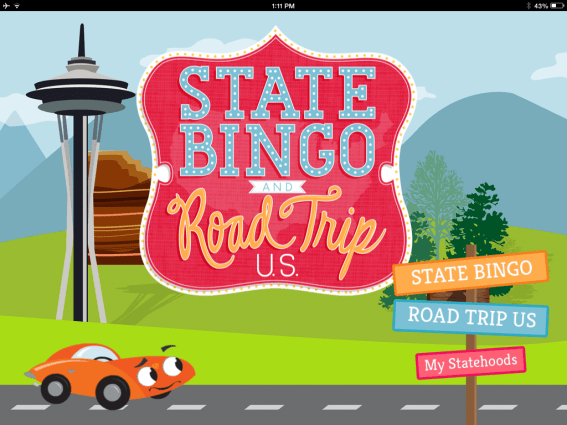 This trivia-based app teaches kids geography, capitals, map navigation, and plenty of fun state facts. During the bingo game, a correct answer results in a covered square. Get five in a row and you win! Kids collect statehoods (beginning with Delaware, the 1st state, and ending with Hawaii, the 50th) as they successfully complete games. During the road trip game, kids try to reach their goal state by answering trivia questions which move “Pep the Car” from state to state along the way. Both games can be quite challenging at the “hard” level of play and geography-loving adults will find it just as irresistible as kids. $2.99. 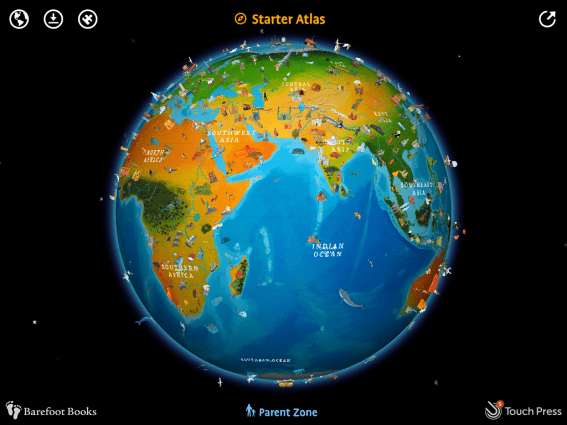 Spin this interactive 3D globe and discover hundreds of fascinating facts about everything from Tibetan yaks to the current time and weather in Fiji. Apple named this app one of the ten best ever made and it is no wonder given the brilliantly hand painted images, fascinating facts, and ease of exploration. There are several expansion packs available for an additional fee. The only downside is that this app does take up quite a bit of space on your device. $4.99. 3. Travel Bingo for Kids! Avoid the constant drone of “are we there yet” coming from the back seat with this cute app. A bingo card features 25 different items for kids to spy out their car windows, from speed limit signs to smoke stacks. Mark off five items in a row on the card and score a bingo. The free version includes the “small town” edition of the game, but for $2.99 an expansion pack can be purchased which features cards tailored to neighborhoods, country roads, big cities, interstates, and letters and numbers. Free. “You have died of dysentery.” Children of the 80’s fondly remember playing Oregon Trail and now their kids can play the equally fun and highly addicting sister to the original game, The Oregon Trail American Settler. 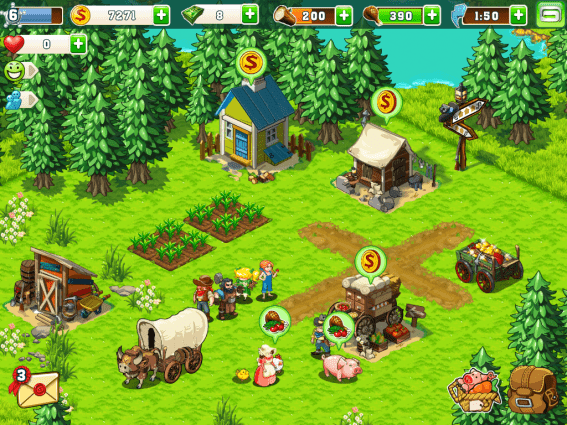 Build your own town, busily trying to keep your townspeople happy and free of dysentery along the way. The app is free but extra “money” and goods can be purchased in the app store so make sure your kids don’t know your Apple ID to avoid a pioneer spending spree. Best for kids ages 6 and up. Free. The slimy cat juggles astronauts with her happy dinosaur. We all know about the giggle-inducing fun a couple of random adjectives and nouns can result in when we jot them down on a Mad Lib pad. This smart phone/tablet version offers the same amount of fun without the extra clutter filling your kiddo’s carry-on. 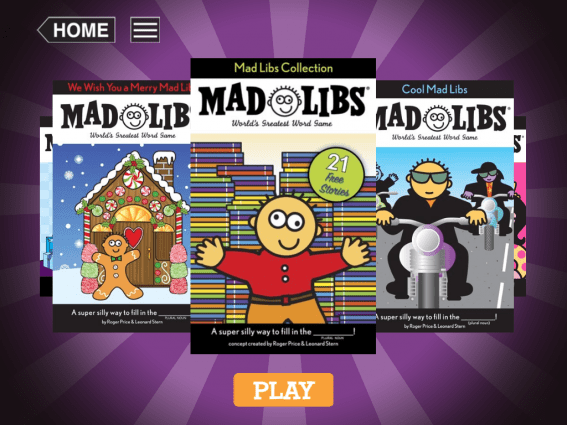 The initial version, which includes 21 Mad Libs, is free but several additional versions are available for $1.99 each. Ideal for elementary-aged kids. Free. Get the scoop on kid friendly restaurants, activities, hotels, and attractions nearby with Trekaroo’s iPhone App. You can search by what’s nearby, bookmark your favorite trip ideas, read reviews from other parents, and even share your scoop, right on the app. Learn more about the Trekaroo iPhone App.